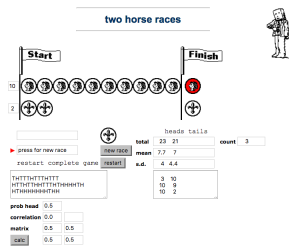 Will it be heads or tails that make it to the line? 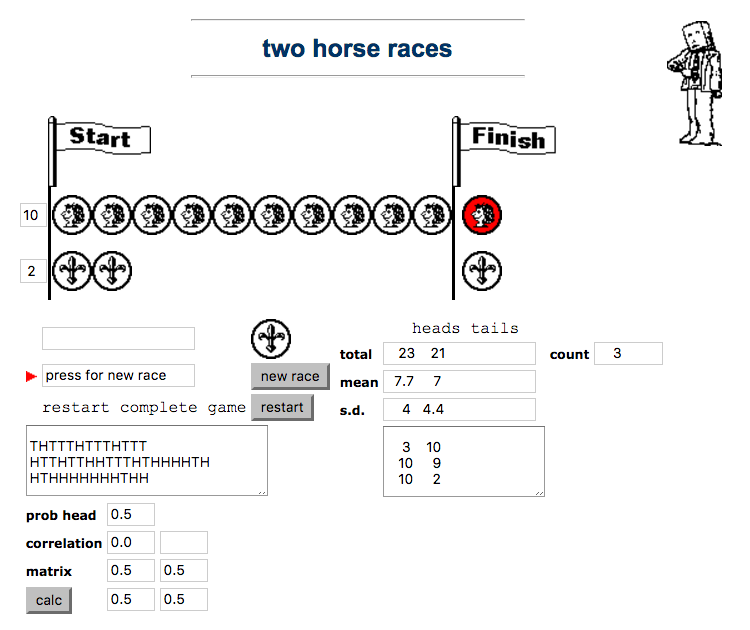 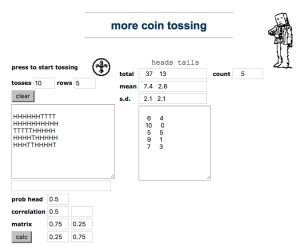 Experiment with biased coins and non-independent tosses. 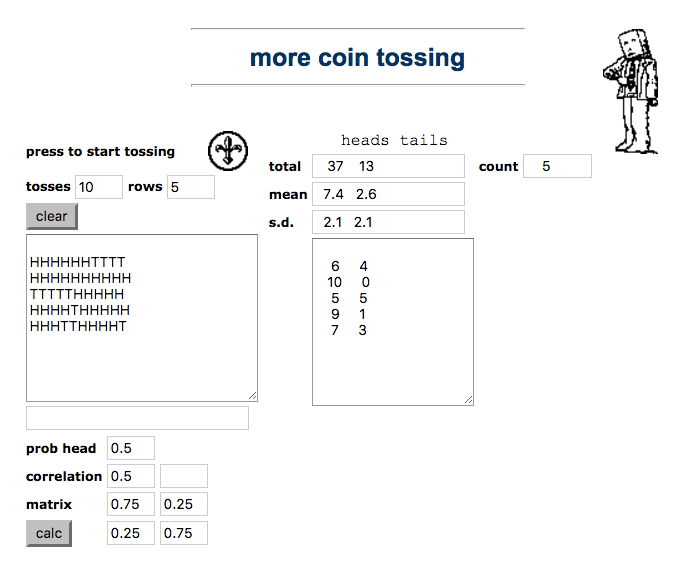 More substantial tossing experiments with virtual coins.